Gathering Force: Arms and Armor of Tamriel is a short tie-in book to Elder Scrolls Online, which came in The Hero's Guides to The Elder Scrolls Online set. 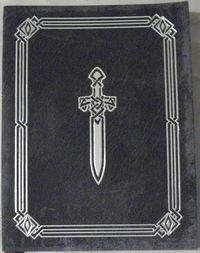 It is a book created by Longinus Attius, Hall Steward for the Fighters Guild in Rimmen, detailing the armor and weapons of each race. An online copy of the book can be found here. This page was last modified on 8 September 2018, at 07:40.